Please explore the Frequently Asked Questions below. If you cannot find what you need or if you have any additional questions or concerns, feel free to Contact Us. What do I need for my trip proposal? When will I know the outcome of my proposal application? The Global Perspectives Committee (GPC) meets during the months of September, October, November, February, and April; proposals should be submitted by posted deadlines toward the end of the previous month to be reviewed during the next month’s meeting. After the GPC meeting in which your trip is discussed, you will receive notification from the Global Perspectives office regarding approval for your trip as well as the next steps in the process. I lead the same Global Perspectives trip every year. Will I have to complete a proposal every year? Regardless of whether your trip is Established or Non-established, you will have to complete a proposal every year. However, once your trip is Established, your proposal will be shorter and require less information. If I am renewing an established trip, what do I need to do differently? Do I need to submit a syllabus for each course I plan to teach for the trip? This depends on whether your trip is Established or Non-established. For Non-established trips, syllabi and other course materials need to be updated and submitted for each trip. For Established trips, you will only need to submit a syllabus if you are teaching a class that has not been previously taught on your trip or if your syllabus has changed since your last trip. Who reviews my program proposal? Once every step of your proposal has been completed (by the appropriate deadline), your proposal will be sent in its entirety to the applicable Department Chair(s) and Dean(s) before submission to the Global Perspectives Committee. 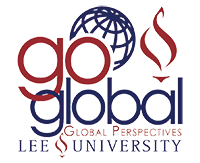 After the GPC meeting you will receive notification from the Global Perspectives office regarding approval for your trip as well as the next steps in the process. How do I submit a recommendation for a student? When a student needs a recommendation for an application on Terra Dotta, they will be asked to provide an email address for the person completing the recommendation. When the student submits his/her application, you should receive an email prompting you to complete a recommendation. If you experience any trouble with this, please Contact Us. I have some questions that are not answered here. How can I contact the Global Perspectives Office?